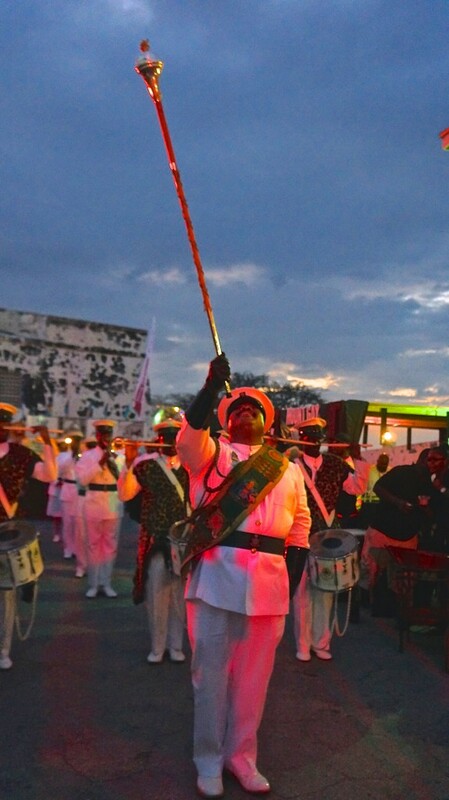 As the sun set over Nassau, a loud BOOM from a cannon followed by the distinct sound of a vibrant Bahamian marching band set the stage for our Festival Rum Bahamas “After Dark” experience. The precise steps of marching band members, led by a charismatic drum major, wove through Fort Charlotte and, within seconds, rum enthusiasts, pirates and pretty ladies joyfully indulged in the street party that was unfolding. 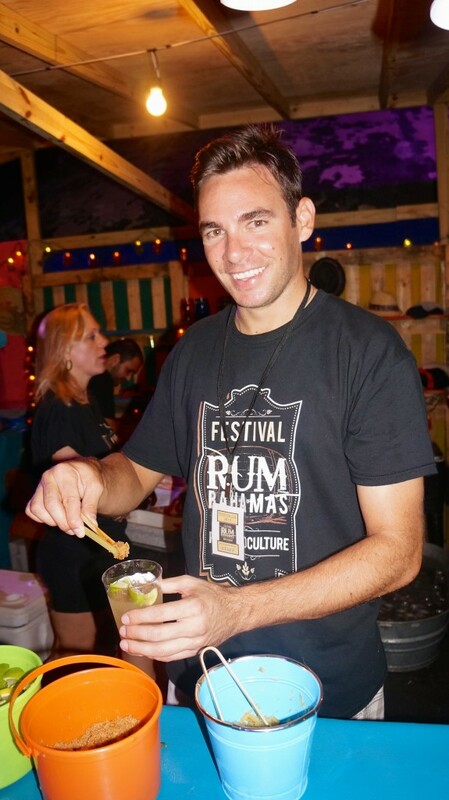 This was the exuberant start to the first night of Festival Rum Bahamas 2015. 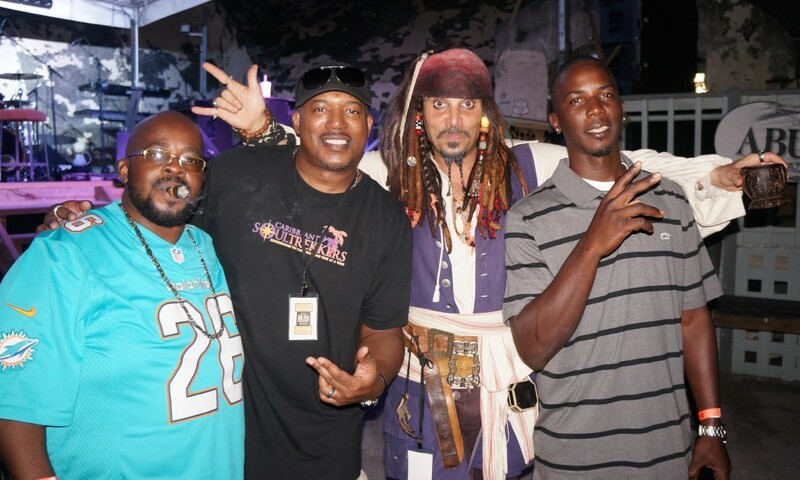 It was time to let the rum flow! 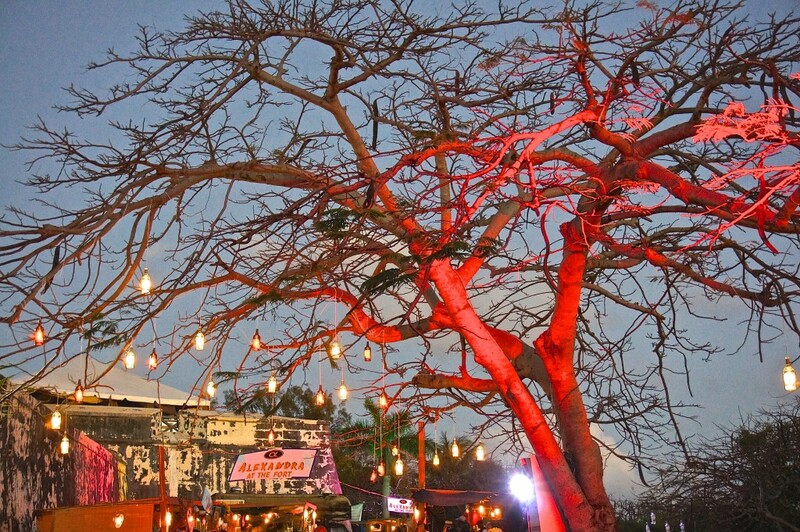 Nighttime transformed Festival Rum Bahamas into an entirely different experience. 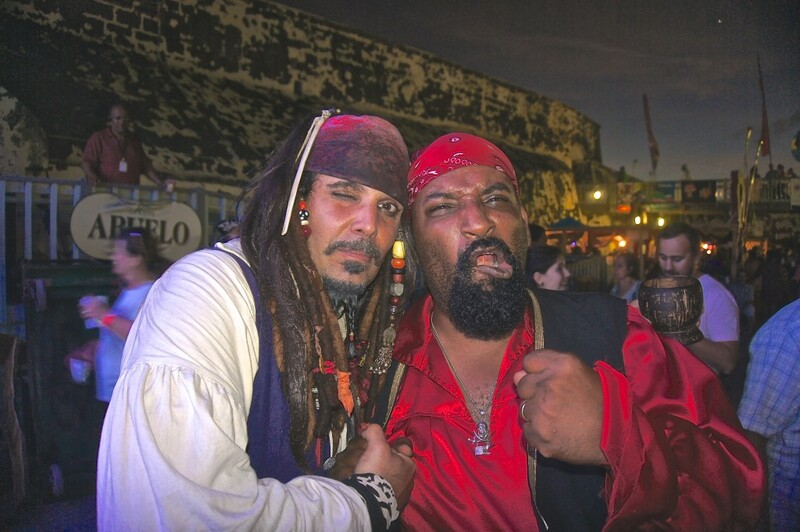 Maybe it was the rum. 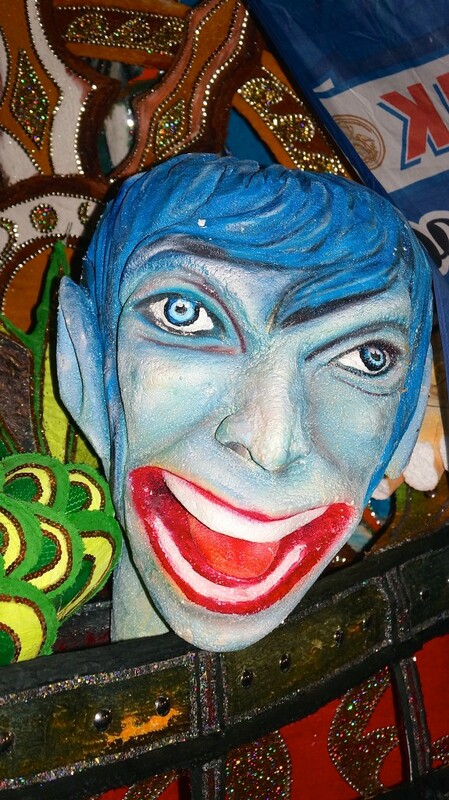 Maybe it was the Bahamian moonlight. 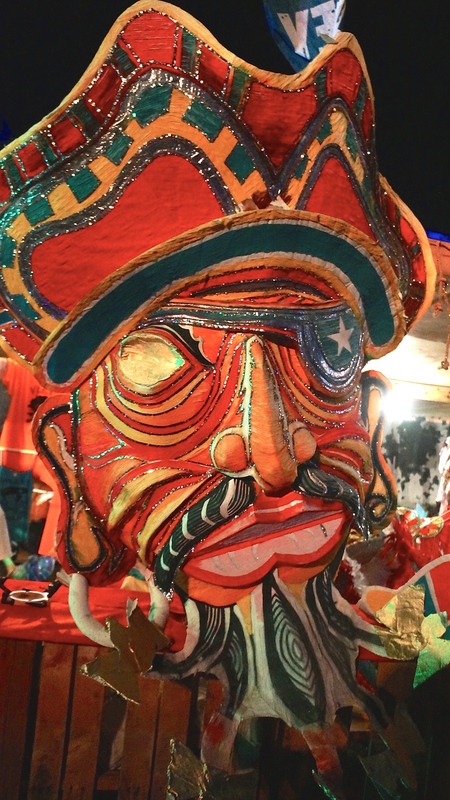 But, after dark, the pirates appeared more sinister, the stilt walkers seemed taller, the food smelled more enticing, the music sounded richer and the rum flowed more freely (I am sure it was not my imagination). Gone were the earlier crowds of casual, cruise ship visitors and curious on-lookers. The nighttime crowds were here to party with a purpose! 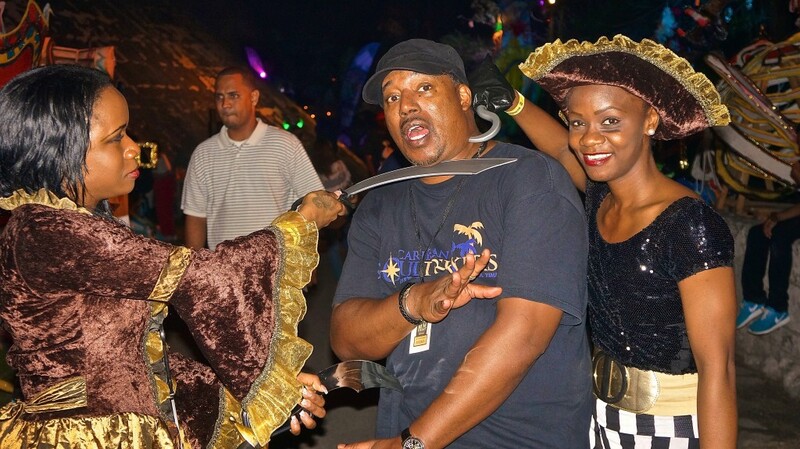 Pirate ladies pillaging Mango Eddie for his loot!! 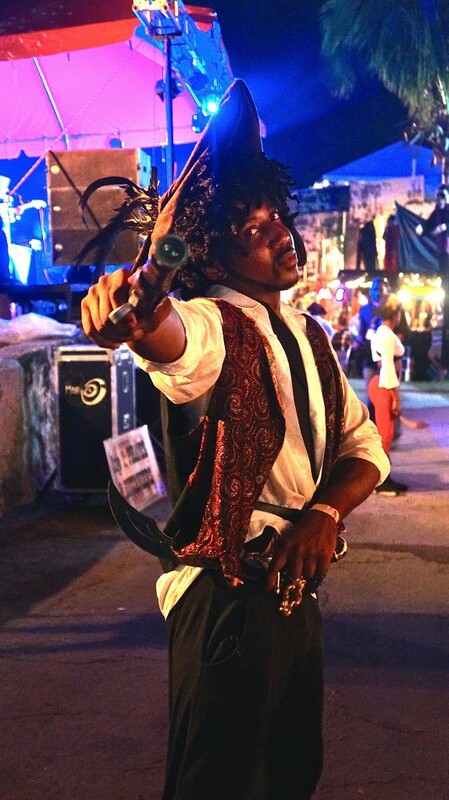 The atmosphere was a little bit outdoor rum lounge, a little bit carnival and a little bit street party all wrapped into one. The ambience was intoxicating, magical and electric. If we had considered leaving to get some rest, this new vibe made it impossible for us to tear ourselves away. 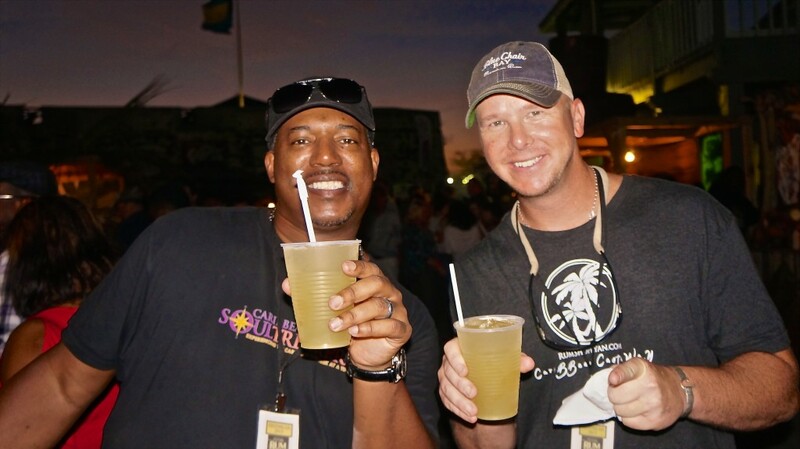 With rum drinks in hand, we prepared to “get it in” – Bahamian style! Who’s heading to Bahamas’ first Junkanoo Carnival this April/May to see these carnival props in action? 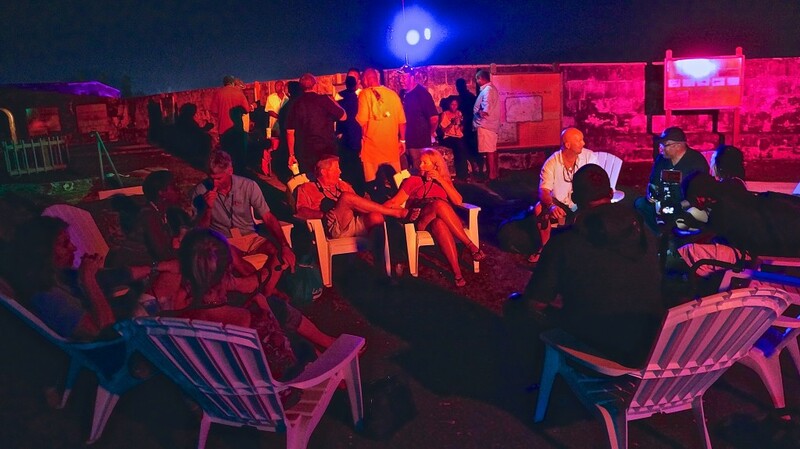 After dark, music at this rum-soaked event intensified. To give festival goers a true taste of the Bahamian music scene, three separate stages were set up throughout Fort Charlotte. Rake n’ scrape, Soca and soul rhythms from local bands on the main stage had festival guests jumping to their feet for hours. 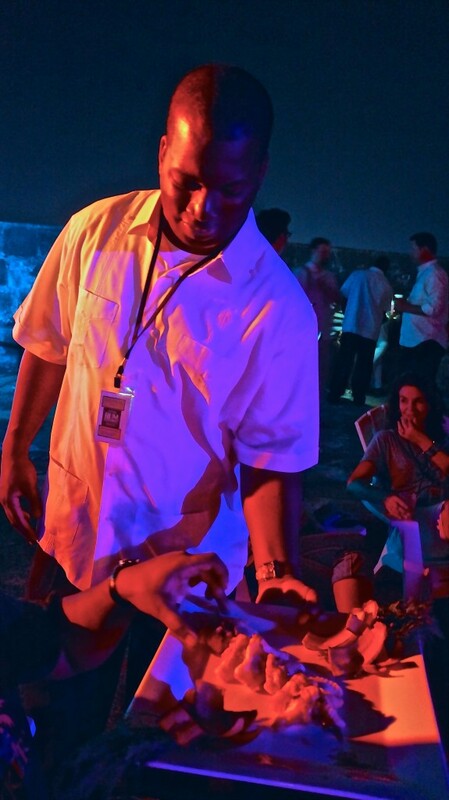 On the backside of the fort, Haitian musicians crooned from one stage and live DJs mixed from another. 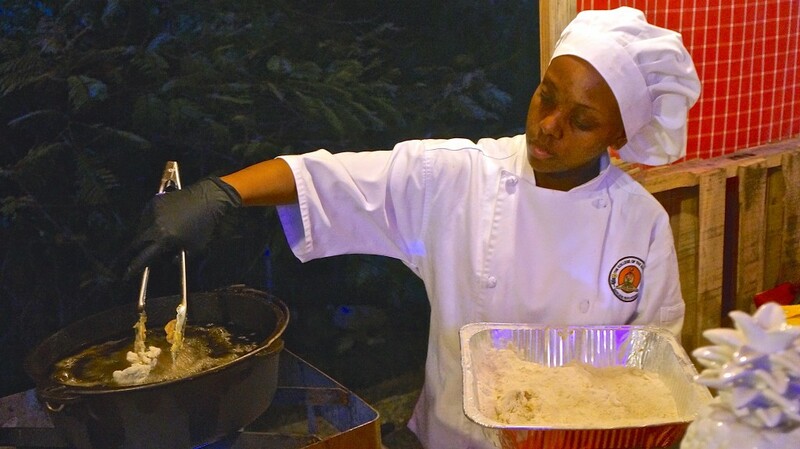 You can’t go wrong by pairing Caribbean food with rum but when that food is actually prepared with a twist of rum, the results are simply irresistible. A stroll down the back of Fort Charlotte, renamed Alexandra at the Fort (a nod to festival organizer Alexandra Maillis-Lynch) provided endless opportunities to sample rum-infused Caribbean delights such as rum-dipped conch cakes, fried rum-marinated octopus, beef quesadillas with rum and cilantro-ginger aioli and rum-battered fried chicken and waffles with passionfruit pepper jelly. When we found ourselves too overwhelmed to choose just one, we simply started at one booth and kept tasting as we went. 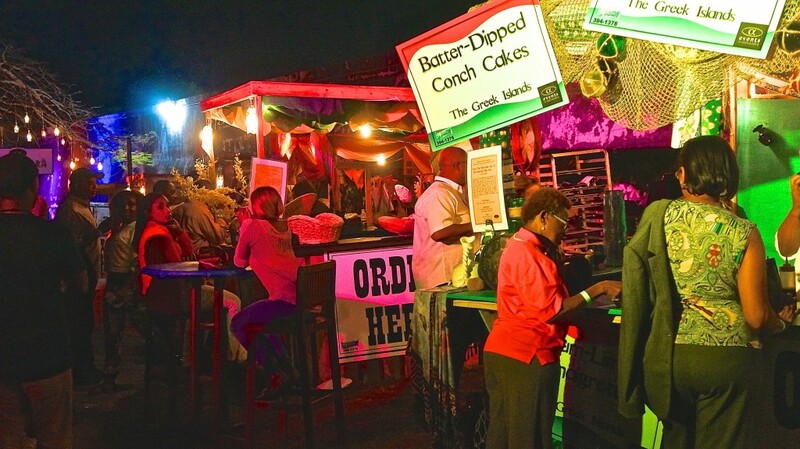 A diverse lineup of booths offered many rum-inspired foods. You can’t have scRUMptious without some rum! How does rum-battered chicken and waffles with passionfruit pepper jelly sound to you? 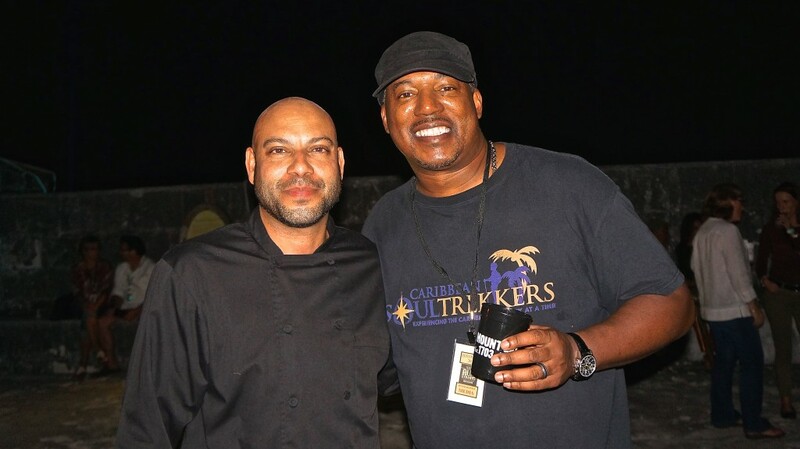 As special guests of the second annual Festival Rum Bahamas, we were also granted access to an intimate rooftop affair catered by featured chef, Paul Yellin a.k.a., the Rhum Chef. At an intimate gathering catered by the Rhum Chef, Paul Yellin. Superb! 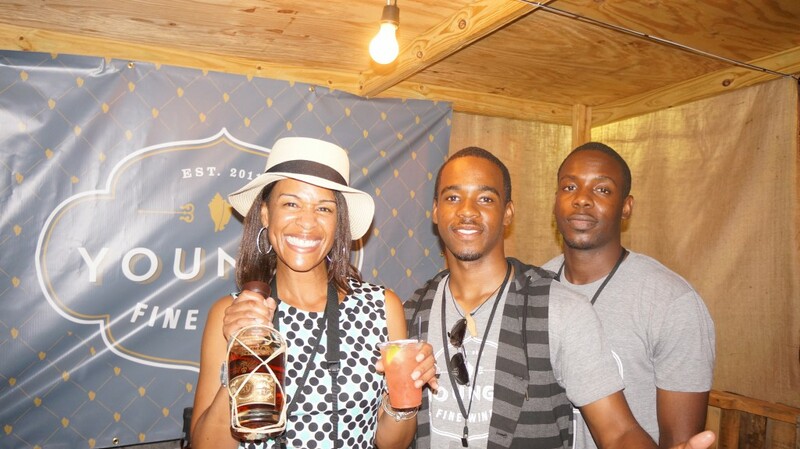 For the second year in a row, Festival Rum Bahamas rocked! 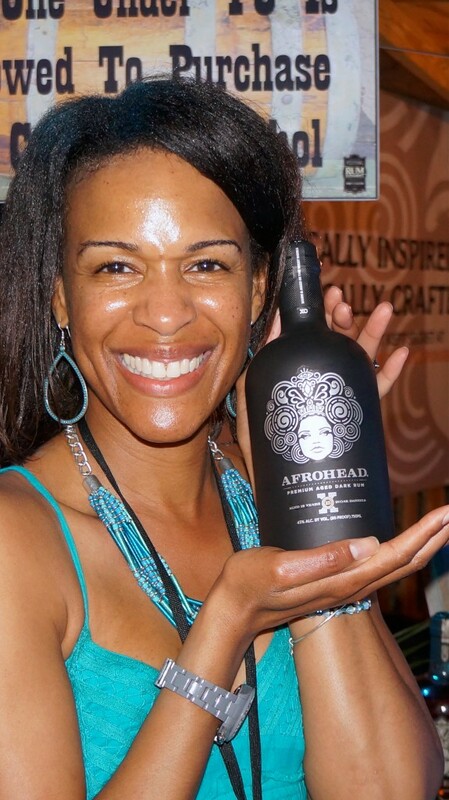 Top-notch rums, perfectly paired Caribbean foods, Bahamian culture, electrifying music and the welcoming people of this beautiful island, made it a premiere event of the region. We are already looking forward to next year!